While the international PS2 release of Guilty Gear X was a straight port of the Dreamcast version, Japan got this version that adds a bunch of extra bonus content, like: a story! 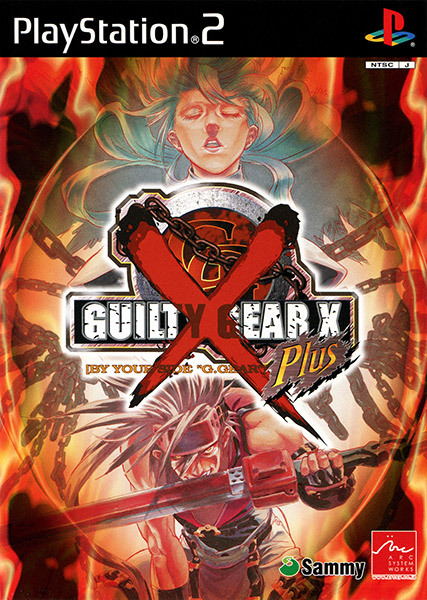 This is the first Guilty Gear title with the long-winded story mode that has since become a staple of Arcsys' fighting games, showing up in Blazblue and Battle Fantasia as well. 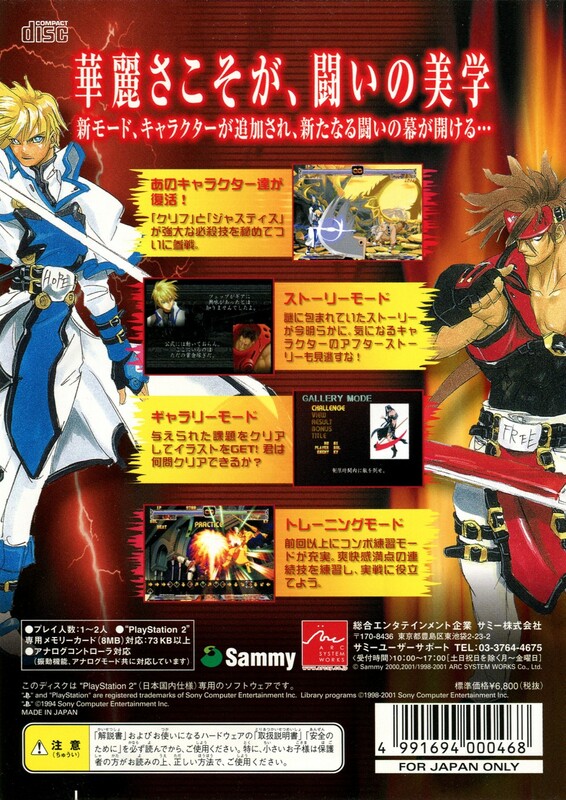 This release also brings back Justice and Kliff from the first game, and also adds training and gallery modes. Altogether a much nicer package than what English-speaking players got. 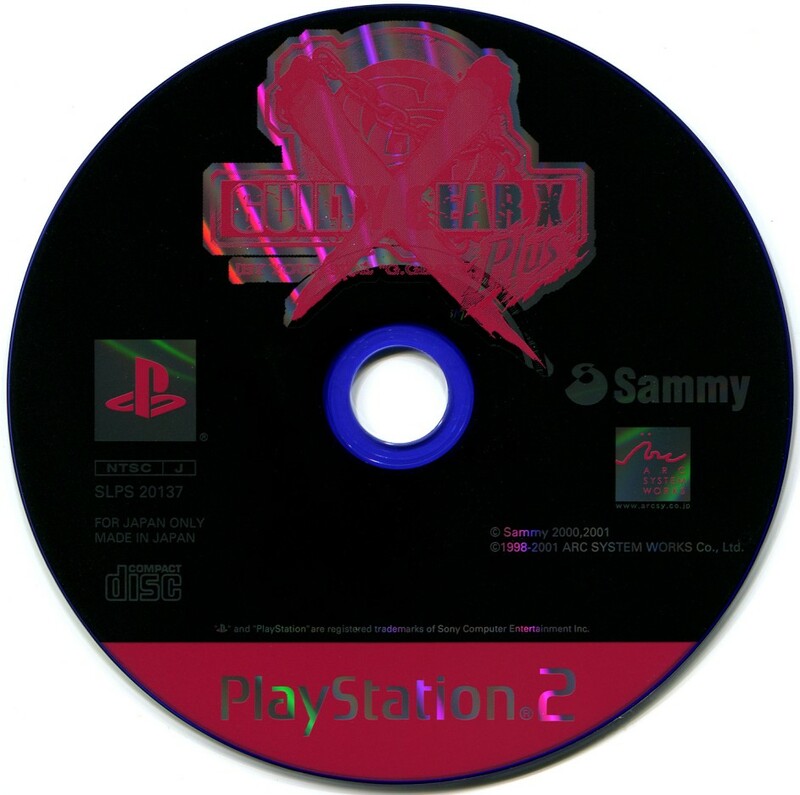 There were three different releases of this game: this regular edition, a "DX Pack" that includes a whole bunch of random crap, and a budget reprint in the "PlayStation 2 the Best" line.